Tower Bridge Exhibition: The Victorians built a bridge well over 100 years ago that has become one of London's most famous landmarks. 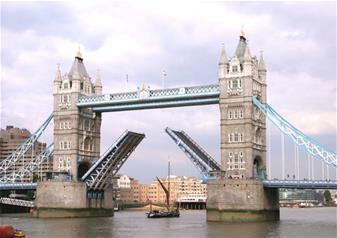 The high level walkways between the two towers was built to allow people to cross over the river whilst the Bridge was lifted to let tall ships sail through. Today these Walkways sre used as viewing galleries for visitors to the exhibition giving the most spectacular views across the London skyline. 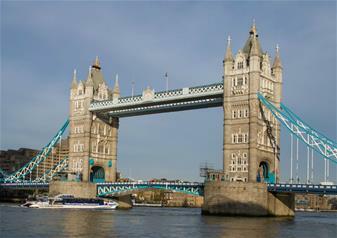 When Tower Bridge was completed in 1894 it was instantly hailed as a London icon and one of the great marvels of engineering of the Victorian age. 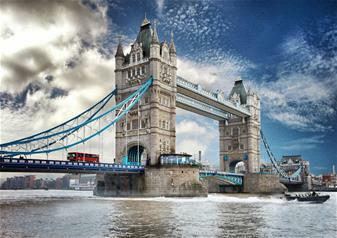 Come inside and explore the rich history of this iconic London landmark. 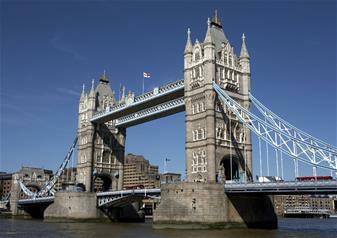 Uncover its secrets and enjoy the stunning views from the high-level walkways, situated 42 metres above the murky waters of the River Thames. Fantastic views of many of London's most famous landmarks, including St Paul's Cathedral, sky-scraping Canary Wharf, Greenwich and The London Eye can be seen from the walkways on the bridge, with special viewing windows that make photography easy. Victorian Engine Rooms house the original steam engines, whose immense power once raised the bascules of the bridge. A “virtual bridge lift” shows how the bascules still rise to let ships pass beneath the walkways to this day.